How did my love for the movies actually begin? Was it at the drive-in double features (where I saw Death Race 2000  and Legend of Boggy Creek ) on different occasions? Or was it at conventional movie theaters like the Clairidge, the Royale, Cinema 23, or the Wellmont (New Jersey venues where I first saw Logan’s Run , King Kong  and Star Wars )? It might have been at none of the above. Perhaps my love for film commenced in earnest instead in my basement family room at 7 Clinton Road in Glen Ridge, New Jersey. There, that love would be nurtured and renewed each weekday at 4:30 pm, circa 1975 to 1981. At that time, my Zenith color TV station was invariably tuned to Channel 7, WABC, and The 4:30 Movie. I remember listening every day with great anticipation as “the Voice” (celebrated TV announcer Scott Vincent [1922 – 1979]) would usher in a new film or a new movie theme week in promos. The anticipation would build as the daily 4:30 Movie intro began. It was a short montage: a combination of the tune “Moving Pictures” with the unforgettable imagery of a camera-man seated on a chair, spinning about and turning the lens upon us, the audience. This was The 4:30 Movie as it was in the New York area in those long gone days. The popular program ran from 1968 to 1981, until it was replaced by Judge Wapner and The People’s Court. But for that span of a dozen or so years – of which I suppose I participated in roughly five or six – it was a mainstay of my house, and mainstay of my early education in genre film. The 4:30 Movie often featured “theme weeks,” for instance. There was Planet of the Apes Week, Matt Helm Week, Our Man Flint Week, Lassie Week, and even Gidget Week. Then there were weeks devoted to actors such as Elvis, Sidney Poitier, John Wayne, Jerry Lewis, and my personal favorite…Vincent Price. Over the years, The 4:30 Movie also offered Harryhausen Week, Sci-Fi Week, Superhero Week, Monster Week, and Supernatural Week. Sometimes it aired genre TV movies (such as Night Slaves), and sometimes it also re-aired mini-series such as Roots and Rich Man, Poor Man. 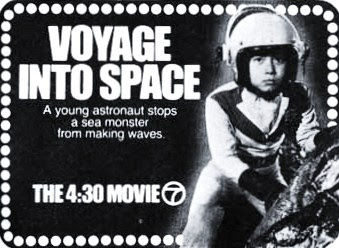 It was via The 4:30 Movie that I first saw Irwin Allen’s The Lost World, The Green Slime, Mysterious Island, Monster from a Prehistoric Planet, The Fly, The Blob, Batman (1966), the Planet of the Apes films, Soylent Green, The Omega Man, Jason and the Argonauts, Yongary: Monster from the Deep, The Pit and the Pendulum, Journey to the Center of the Earth, and goodness knows how many others. Now, these films were often split into two parts, over two days (like Planet of the Apes and Journey to the Center of the Earth), or edited heavily for violent content. But it didn’t matter. I devoured every new film with ferocity, curiosity and excitement. When a sci-fi themed week was due to air, my indulgent and loving parents would prepare dinner on trays and bring it downstairs to the family room so I could watch The 4:30 Movie and not miss a moment. I have lots of good memories of eating bean-and-bacon soup and sandwiches on weekdays, from 4:30 to 6:00, as a new cinematic universe was unveiled on the television. I understand that The 4:30 Movie was exported and repeated in cities across America, so I’m certain that others of Generation X must possess similar memories of such programming. For me, the program was a constant rotation of new, intriguing and even bizarre fare. Today we live in a universe of media availability and plenty. Yet there’s a part of me that would love to travel back in time to that family room basement in 1977, eat a bowl of soup with my folks, and enjoy Planet of the Apes Week one more time. I understand the pure irrationality of this desire, believe me. I can screen all the Apes films right now, uninterrupted and in their original aspect ratios, should I desire to revisit them. 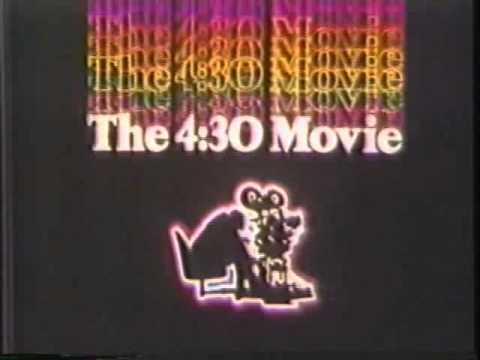 We had "The 3:30 Movie" on Channel 13 when I was growing up in Indianapolis. I have very fond memories of rushing home from school, scarfing down a snack, and hitting the couch just in time during their Monster Movie Weeks. John the afternoon movie was a special event in all our '70s childhoods. As a boy in the '70s my friends and I also loved the Saturday afternoon Creature Double Feauture of two films from 12 noon to 4 p.m. on a local UHF station. This is where I got my old science-fiction, horror and fantasy film education. I also loved our family's almost weekly visit to the Drive-In movies double feature in those '70s Summers too. John,like you, I would love to time travel back to the '70s to relive some of those awesome boyhood memories like in the Twilight Zone "Walking Distance" episode. I remember that when Saturday morning programming was over, it was time to tune in to the monsters (inevitably Godzilla...) duking it out. You bring up, aptly, "Walking Distance," one of the best episodes of The Twilight Zone. I do feel like that character there sometimes, just wanting to go back and "taste" the past for a few hours. JKM: Talk of "The 4:30 Movie" makes me swoon! I was one of those little monsters that RAN home to catch whatever was on, no matter its (lack of) quality. But here's something that I've commented on before at my site: sometimes the butchery that the ABC editors performed on the films actually improved them! To make a movie fit into the 90 minute (including commercials) time-slot, sometimes meant that almost half of the flick was ditched. 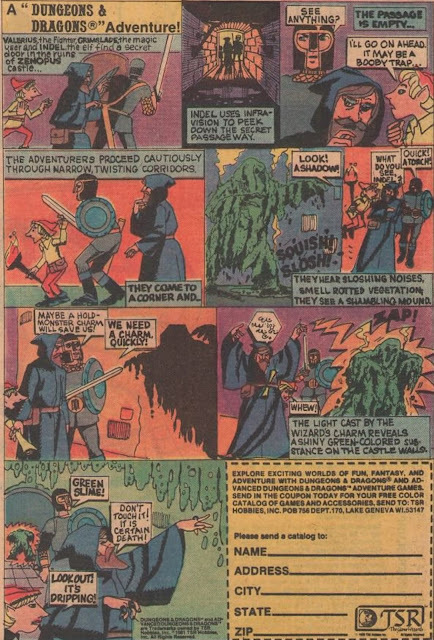 And in many cases (George Pal's Conquest of Space, The Blob, countless kaiju, others), the trimming of excess baggage meant cutting out all the snoozeville nonsense: the love story, comic hijinx and so-called drama, leaving only "the good stuff." Another fan of the 4:30 movie! Awesome! You make an intriguing and counter-intuitive but no doubt accurate point about the ABC editors cutting the movies to ribbons. In some instances, their "edited for TV" cutting actually improved the films!!! I have the feeling this notion is definitively true of many Kaiju movies, based on recent re-watchings. The Blob is already a short film...I can't imagine that one cut back even further. But you're right I'm sure, they cut out the love story, the comic relief...and left the good stuff...like monsters pounding each other to dust! For many years in the seventies and into the early eighties, our local ABC affiliate had a movie slot from the end of the evening news at 6:30 to the beginning of Prime Time at 8:00. It was, of course, imaginatively named "The 6:30 Movie". 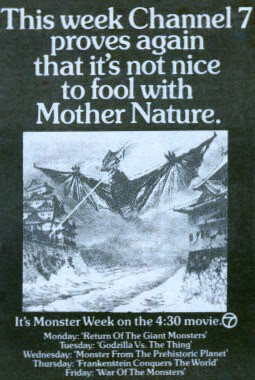 I was particularly fond of the annual "Godzilla Week" and later in the seventies "Planet of the Apes Week". The station had a number of other movie slots... the Mid-Morning Movie, on which I first saw both "Fail Safe" and "Doctor Strangelove". And various weekend afternoon movie slots on those few Saturdays and Sundays when the network wasn't covering a sporting event. Tarzan movies used to be a staple of the weekend movie in the seventies. On one of those Sunday movies, I first saw 1933's "King Kong". Yes, to this day, I miss local affiliates of the Big Three having dedicated and locally programmed movie slots. I feel your pain, I was born and live the first 11 almost 12 years of my life in Cleveland Ohio. Say what you will about CLE, we always had good local TV talanet and movies. We had Marty Sullivan as Superhost on Saturdays for the kids. And the Prize Movie for the old folks demographic on weekdays, though I mus admit I watched it quite a lot if home from school. Not to mention Ernie Anderson as Ghoulardi in the mid sixties. Either way I loved it then as I miss it now. Birth, death, infinity. BEN CRAZY. Then the 80s had The Ghoul, who seemed to show Children Shouldn't Play With Dead Things every other week. Cool. I didn't have this one. Most of my afterschool memories were of me running home for Battle Of The Planets, Starblazers on some of the locals and Tom Baker's Doctor Who on public broadcast netwrok. Re: Voyage Into Space.! Oh, that excites me. I have been waiting and watching for the release of Johnny Sokko And His Flying Robot right alongside the Batman TV Series. When will they release it!? I loved that series. Cheers John. all the best. Actually johnny Sokko is on HULU here. Tku.... I may have to check that out since the comfort of a TV screen at home may be delayed unless I buy a bootleg version, which I'm trying hard not to do. Wow, sorry for the typos, I need more coffee. Here is the clip for Ghoulardi I wanted to link to. Strange and coincidental timing to read this today, Saturday, July 28th, John. Last night, after we reviewed "The Dark Knight Rises" on Destinies, I was thinking about how I had watched the 1966 "Batman" movie on the 4:30 Movie during Super-Hero Week (along with the Cathy Lee Crosby Wonder Woman movie) and the theme song was running through my head all night and this morning. So, imagine my surprise when I scrolled down the list of your posts to catch up, and found this retrospective of the 4:30 Movie, along with the link to the title sequence. Aside from WABC and WXYZ, ABC's other O&O's had afternoon movies - on Los Angeles' KABC and San Francisco's KGO, The 6:00 Movie up to 1971, The 6:30 Movie from then to 1974, and finally The 3:30 Movie until 1980 on KABC and c.1985 on KGO; and The 3:30 Movie on WLS in Chicago (which moved a half-hour earlier to 3:00 P.M. in 1980 and remained there until its 1984 cancellation). WBHIST: Thanks for this great info! The origin of The 4:30 Movie's theme, much subject to speculation over the years, has finally been uncovered. Written (apparently) in the last months of the afternoon skein's use of The Big Show title in 1968 and, appropriately, titled "Big Show Theme" (as registered with ASCAP in its ACE database), it was penned by Walter Raim (a musician and songwriter who composed many music cues for TV promos - and who, at the time this was conceived, issued a series of albums on the short-lived MTA label under the moniker of the Walter Raim Concept), co-produced by Bernard Drayton (son of a jazz musician, and a veteran producer of advertising jingles), and recorded in New York City. It certainly had more verve and swing to it than, say, Stan Zabka's sedate (to the point of quasi-comatose) "Silhouette of a Dream" which was the Movie 4 theme for at least the mid-to-late '60's (I remember that show, in its last year or so, having a wholly different theme which was far more uptempo but somewhat more string-based).